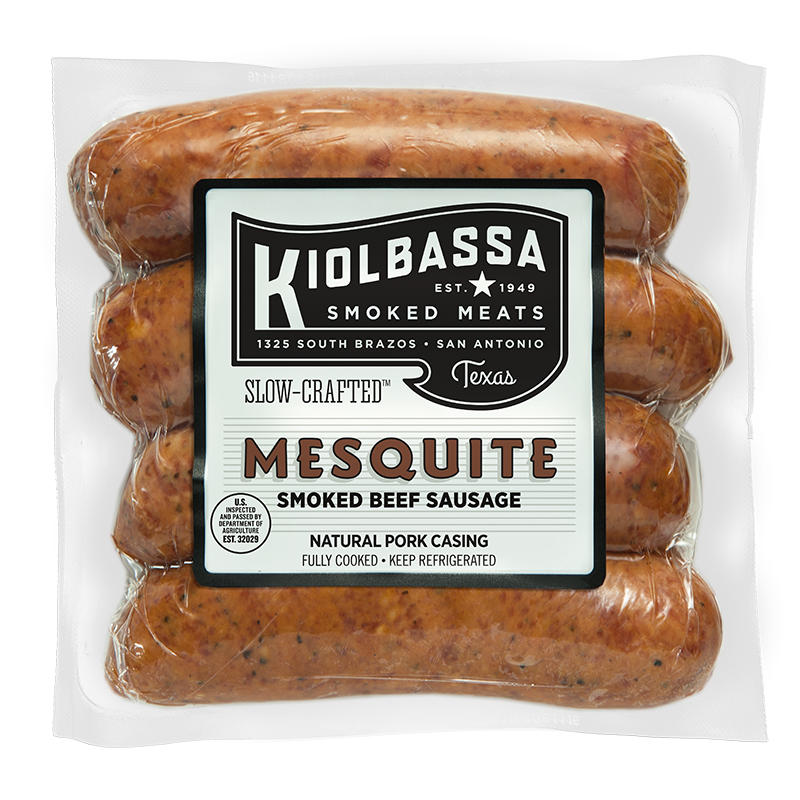 The Mesquite tree. It’s a fundamental part of the rugged Texas landscape. 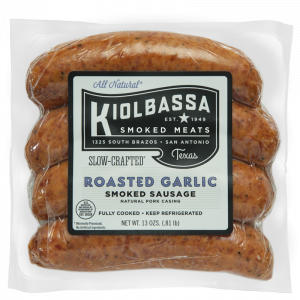 And, a prized wood for flavoring meat with incredible southwestern flavor. 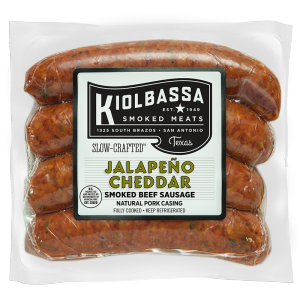 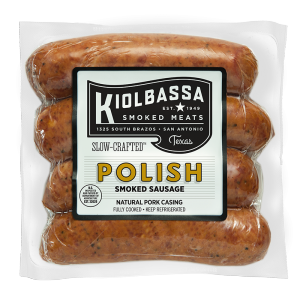 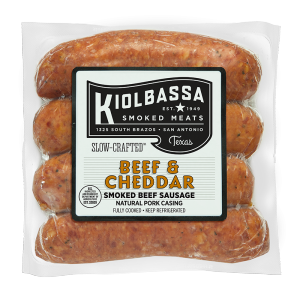 Our Kiolbassa beef sausage is the perfect candidate to smoke with Mesquite, and we do so for over 3 hours. 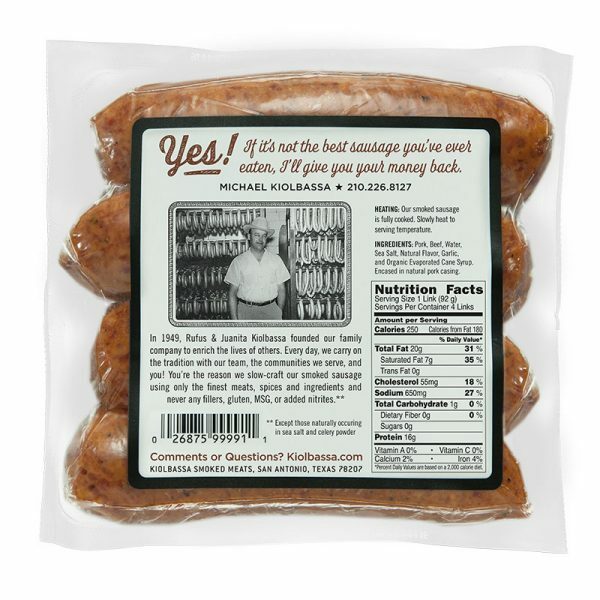 The result is tender, juicy beef sausage with a sweet, smoky flavor that says “Texas” with every bite.